Features, benefits and popularity are few factors that most people consider before picking a promotional product. They believe that a feature-rich product can gain good popularity in no time, thus giving great longevity to your promotions. 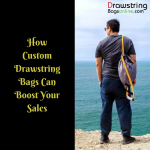 Drawstring bags are such promo items that are feature-rich, popular and highly able. Though their construction is very simple most of the time, they can give great advantages to the users, and thus it is not a big deal for them to gain attention. 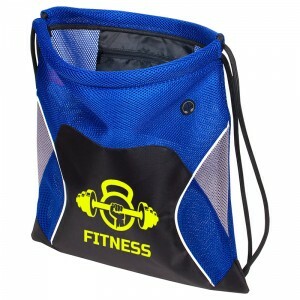 In the case of sporty drawstring bags the biggest feature of them all is the easy closing and opening. 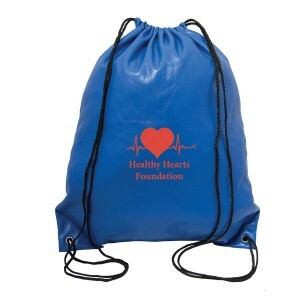 Custom Drawstring Bags – Non-Woven Sports Pack Polypropylene is a perfect and budget friendly choice. They are spacious and made up of durable and light materials. 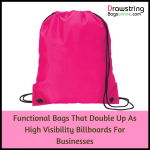 Though most of the advertisers are aware about most of the benefits these bags are offering the users, there are still some advantages that people do not notice. We would like to share some of the lesser known benefits that are capable of making your promotions more powerful and effective. 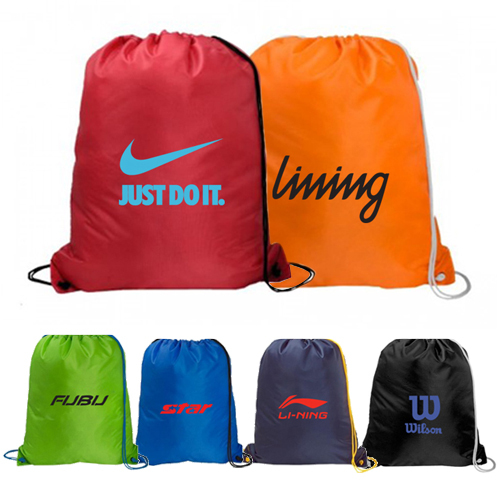 The main highlight of these drawstring bags is that they are smart and ready for rough outings. Gyms, schools, sports training centers, parks etc are all places people take these bags. Are they suitable for camping and hiking activities? Of course yes and there are not many who are exploring this point. This fact makes them suitable for promotions of outdoor adventure clubs and hiking tour operators. As they are strong and spacious enough to carry all essentials, you can give away these products to adventure tourists too. Everyone knows that these products are offering one of the largest imprint areas among the most popular promo items. It surely does help your brand to gain maximum brand exposure. Another fact is that they are easy to print too. Unlike other products these promo items can give your brand logo or contact info the best popularity or reach many indoor promotional items can deliver in their entire lifetime. As people take these bags on their way to gym, school, office, sports events or on a trek, more like minded customers will eventually find your brand. It’s the huge variety of colors that goes undiscovered most of the time. Though Black, Grey and White colors are the most popular or desired colors, it will be worth checking out different colors to grab attention quickly. Purple, Tan, Lime Green, Orange, Navy, Yellow, Red, Royal Blue, Ivory are all color choices available for our Non-Woven Hit Sports Packs. 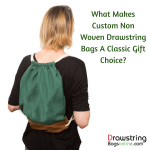 It gives you a good idea about the freedom you get when you get custom drawstring bags in the color of your desire. Colors can play a great role in defining your brand characteristics better and faster, we don’t want you to miss this advantage. 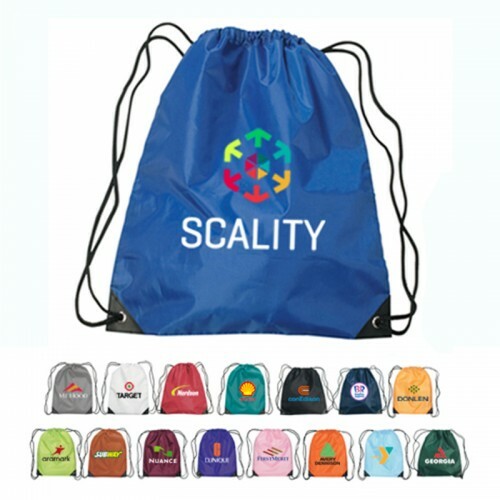 Unlike traditional backpacks these custom non-woven polypropylene drawstring bags can carry literally anything the user wants. Be it their handheld electronic gadgets, purse, towels, sports equipments or other essentials; it is simply an all-round solution for the adventurous and active people. You are living a fast life so your bag should also be efficient to keep you going in full speed. The easy opening and closing make sure that the user can load and unload his/her stuff without consuming much time. Have you got stuck putting in your stuffs while getting ready for training quickly? Let’s not make that happen with your customers anyway. Take a look into our online store today and find some great options in custom drawstring bags.